Tamil Nadu: The Madurai Bench of the Madras high court, has come down hard on the provision of medical services in the government hospitals in the state ordering the state government to pay Rs 28.37 lakh on account of the medical negligence case at a government facility. What is also a first that the judge gave liberty to the State Government to recover the compensation amount from the doctors and hospital staff concerned, reports Hindu. 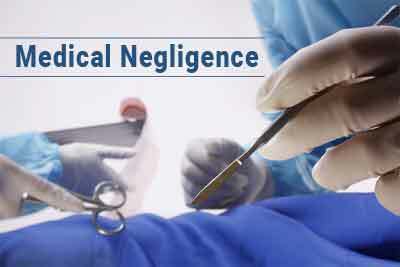 The state government has been directed to pay the compensation to the family of Rukmani, 34, who died at the Government Nagercoil Medical College and Hospital in Asaripallam in Kanyakumari district due to medical negligence. The case goes back to year 2011, when Rukmani, a tailor by profession was admitted tubectomy at the said hospital. Unfortunately she was administered nitrous oxide, instead of oxygen, which led to heavy blood loss, following which she was immediately referred to Government Rajaji Hospital in Madurai. During the course, her husband filed a petition before the high court bench seeking better treatment. The court in turn directed the woman to be admitted to the Christian Medical College (CMC), Vellore. However, the government preferred an appeal against the order. The appeal was dismissed on February 10, 2012, following which she was admitted to CMC on February 12. Subsequently, she died on May 4 that year report TOI. With these observation, the court ordered the state government to pay a compensation of Rs 28.37 lakh as compensation by calculating loss of the income of the deceased, medical expenses, non-pecuniary damages and loss of personal income of her husband who spent 411 days with her during treatment. This compensation has to be paid to the family amount with 9% interest per annum within eight weeks. The judge also imposed a cost of Rs 33,000 on the government adds TOI. Full judgement and analysis to follow soon………..
the health minister and health secretary should pay the amount,…because the shortage of manpower is due to them.also the lack of training among paramedicals ……..is due to them.they take bribes to transfer employees,….. and protect them,for not working.WHY ONLY DOCTORS are given the punishment?? Maintain doctor patient ratio…Reduce work load…. Improve working atmosphere…Supply proper equipements..
Give the same punishments to judiciary and media errors…. Every one wants pai pai ka hisaab from doctor in case of loss. When someone is detained in custody and later proved to be innocent no one pays his single penny may it be days months or even years. If genuine bail is late by strike of advocates no one pays him money for time of detention. Doctors are softest target now a days. The Judicial system should be fair when it finds someone guilty be it doctors, Judges of lower court, politicians or top business men or in fact anyone. When a Doctor – Patient relationship is turned into a seller and consumer relation then there is no professionalism, its more of Profit and loss. When a doctor takes oath he was not told that he would not be protected by the government, he will also have to be ready to be beaten up by public, for his judgement he could be sued for compensation. he always have to stand by the edge of the sword. I guess its time to forget the historic oath and make a new oath for doctors, which will give them their due rights and not blackmail them on based of oath. It\’s a human mistake. …..or error. Not medical negligence as doctor never planned or advised a wrong medicine.